Can politics become the first choice of the best and not the last resort of the worst? For this to happen we must figure-out how to build enlightened leadership for directing polity which is the organ of power in human society. Here comes the importance of ancient Indian polity which can provide some luminous clues for elevating the quality of political leadership. In this Indian conception, the ideal of political leadership is to harness the highest wisdom, intelligence, emotions and will of the community and make them available and organised for the inner and outer well-being and progress of the collectivity. An ideal state must represent the best mind, the noblest ideals and the highest instincts and aspirations of the community; it must ensure that individuals with the highest intellectual, moral and spiritual calibre and the greatest capacity for leadership, execution and organisation reach the top levels of the hierarchy or if that is not possible, atleast the wisdom and capacity of such highly evolved individuals are somehow made available to the leaders and masses of the community. Second, by its healthy emphasis on communal freedom and autonomy combined with its predominant stress on cultural progress it helped in sustaining and keeping alive one of the most creative, fruitful and resilient cultures of the world. The first lesson we moderns have to learn from these achievements of India is that mass-popularity and charisma cannot be the sole basis of political leadership. One of the surprising facts of modern society in that while some standards of qualification, experience, skill, ability and the requisite aptitude are insisted upon for leadership position in business industry, commerce, education and other fields, no such standards exists in politics. We frequently bemoan the poor quality of our political leaders forgetting the fact we ourselves are responsible for it! How can there be sound politics when the products of pure mass popularity become politicians and ministers? The simple fact –which is unanimously recognised and practiced in other sections of the society — that a leader should have the right temperament and the intellectual and moral calible and ability to provide high quality leadership is simply ignored in modern politics. 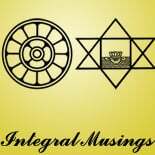 This entry was posted on May 7, 2012 by integralmusings in Polity and Governance.